What few stories I know about my great grandfather, I learned from a video in which my paternal grandmother, Ottie, interspersed comments about her father as she discussed her life. By combining those snippets with photos, census records and other things I’ve compiled a short biography. James Lyman Rury was born December 25, 1865 in Binghamton, New York to James B. & Orcelia Jane Rury nee Wright. Sadly, James B. died from typhoid fever in a Civil War camp before his son, James, was born. Orcelia then went to work in a children’s home while her sons, Othello and James, lived with an uncle in Binghamton, New York. By the time of the 1870 census Orcelia, Othello, James and a boarder were living together. Ottie said that James started school in Binghamton and even though he only got to go to school through the 3rd grade, he was very good in math and he read a lot. While we don’t know all of James’ reading interests, we do know that Ottie described “…going to the library in Guthrie. Every weekend I would go to the library and check out books. And I liked to read and my father read the western story magazines…” James’ limited education not only gave him skills, he enjoyed reading and shared that with his daughter. Sometime after 1870 James’ mother, Orcelia, married Lester Marks and by 1875 their first child was born in New York. According to Charles A. Rury, Lester and his half brother, DeWitt Clinton, decided to seek their fortunes in western Kansas and went to Dodge City, Kansas. 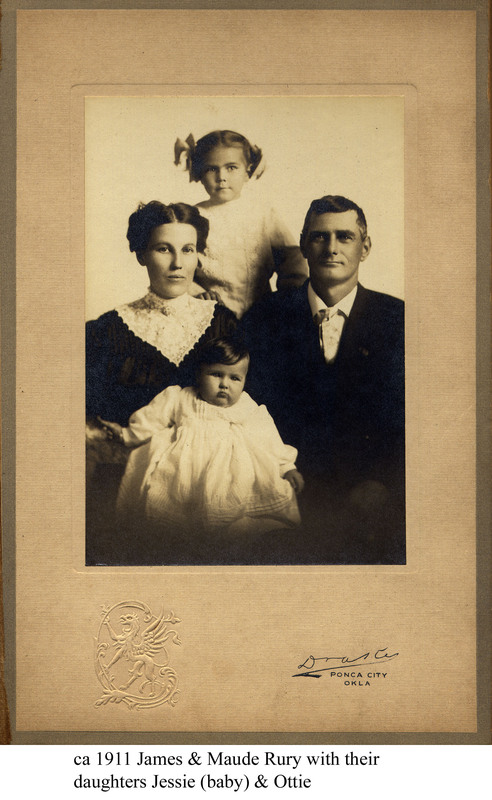 By 1878, Lester and Orcelia’s third child was born in Ford, Kansas. The 1880 census confirms that James and his brother Othello lived in Kansas with their mother and James was a laborer. Sometime around October 1889, James arrived in Oklahoma Territory, according to the state census, and by March 1890 his mother, step-father and family moved there as well. I am not sure where James lived from 1890 until 1905 since I haven’t been able to locate him in the 1900 census however, his mother and her family as well as his brother and his family continued to reside in Logan County, Oklahoma. James met his future wife, Maude Mae Hilton, when she worked for James’ half brother, Ford Marks and his wife, Maggie. In 1900 Maude was still living at home with her mother & siblings in Ponca City, Kay County, Oklahoma and I do not know where Ford & Maggie lived when Maude worked for them. 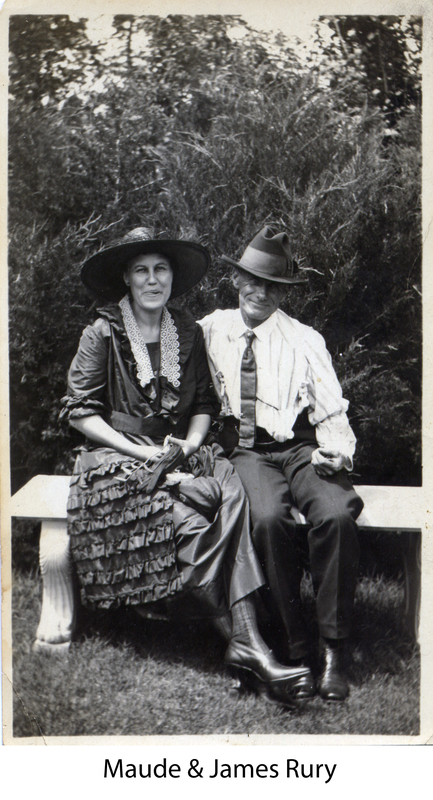 It was probably in Kay or Logan County and sometime around 1905 James and Maude married. Ottie explained “my father did not have his family early he was 40 some years old, 43 I believe, when I was born…Now he was a lot older than Mother and I was born in 1908. And, near as I know, their marriage was 3 years earlier…” In fact, James was 39 years old when he married 15 year old Maude and they had their first child, Ottie, three years later. 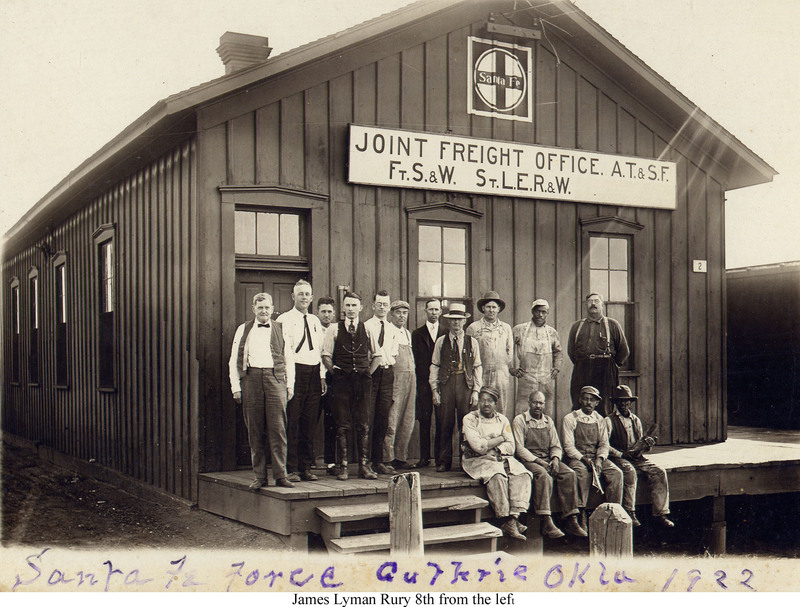 From about 1908 until about 1913 James and his family lived in Bliss, Oklahoma and most, if not all, of the time he was there he worked as a clerk in Clark’s Hardware. (see Birthday Invitation post) During that time in Bliss, Oklahoma they had another daughter, Jessie, who was born in 1911. 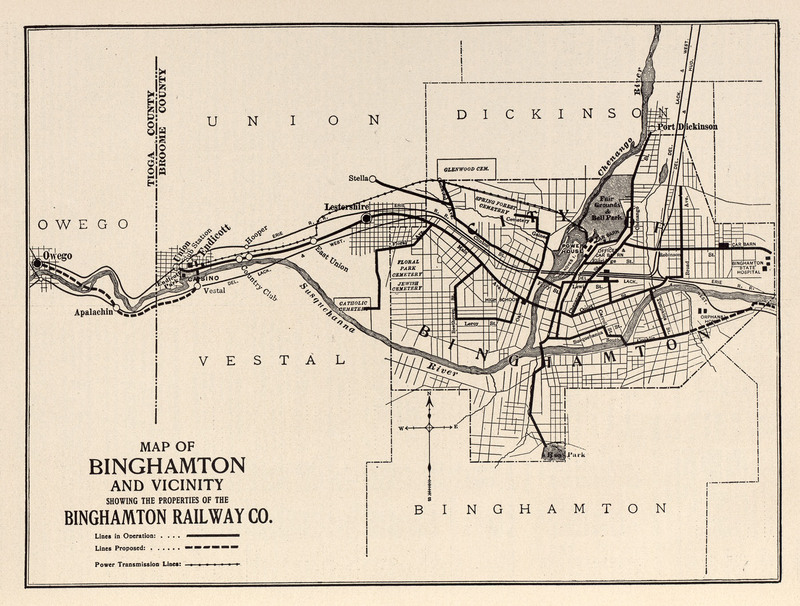 …my father was able to get passes on the railroad and so we went to Kansas City on our first vacation… My father was born in New York state and he took us back to Binghamton, New York. We went to Niagara Falls in Buffalo, New York… I can remember the trip to Buffalo, New York and at that time there was very few hotels and there was no such thing as motels and we rented a sleeping room in a private home at night time… in Binghamton there’s two rivers run through the town. The Susquehanna is one them and he showed us where he used to ice skate on the river and then he said there was a comb factory there and they would go to the dump site and get the waste material that was thrown out from these combs and they would make things out of this material that they make combs from. and where my little Sweetheart is, I don’t know. She went off and left me, left me all alone. And where my little Sweetheart is, I don’t know! …and then in 1925 my father went to the hospital in Mulvane, Kansas and Mother and I went up and brought him home and he lived only 2 or 3 days and he died. At that time they said it was heart dropsy and he had a swelling in his limbs and all. That was in 1925 right after Halloween. And coming back we stopped at Ponca City and spent the night. And then we got a train and went down to Perry and changed and went on to Enid. And we stayed all night with Grandma Hilton and Jessie Randolph, my mother’s sister, had a car and she took us from the depot to Grandma’s house. 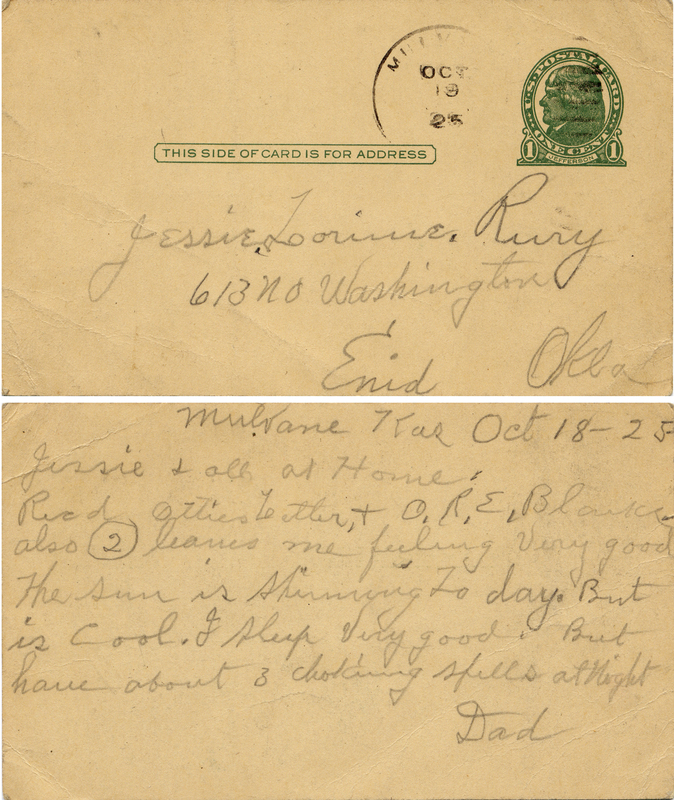 Among Ottie’s photos is a postcard from James to his daughter Jessie that is dated October 18, 1925 postmarked from Mulvane, Kansas that says “Jessie and all at home: Read Ottie’s letter and O.R. E. Blark’s (?) also 2. Leaves me feeling very good. The sun is shining to day. But is cool. I sleep very good. But have about 3 choking spells at night. Dad.” According to his obituary, James had been in the hospital at Mulvane for three months, arrived home in Enid on Monday and died the next evening, November 3, 1925. He is buried in the Enid Cemetery. Very good work. James seemed to be a fairly attractive man and the huge age difference wasn’t very apparent physically. Wow great family history, that is really great that you are able to find and write about your family that way. Thanks, Stan. I really enjoy the challenge and am fortunate to have family members who allow me borrow important heirlooms to scan and learn about. My ancestors relocated from Binghamton, NY to Kinsley, Kansas around 1880 also. Kinsley is somewhat near Dodge City, KS. I thought your stories were very interesting. Thank you. Thank you and I’m glad you stopped by to visit my site. How neat that your paternal grandmother, Ottie, did a video for you! And of cOuRsE, I LOVE the old photos and, postcard. Thanks Susan! Since I wrote this post in 2009 it’s really neat to be able to re-read it and in my mind and can see and hear my grandma talking about her dad.